During the month of November the North Shore of Lake Superior can and often does become a very hostile environment. As winter approaches the weather starts to cool and the storms begin to build. My family has begun a new tradition of visiting the North Shore close to Thanksgiving. 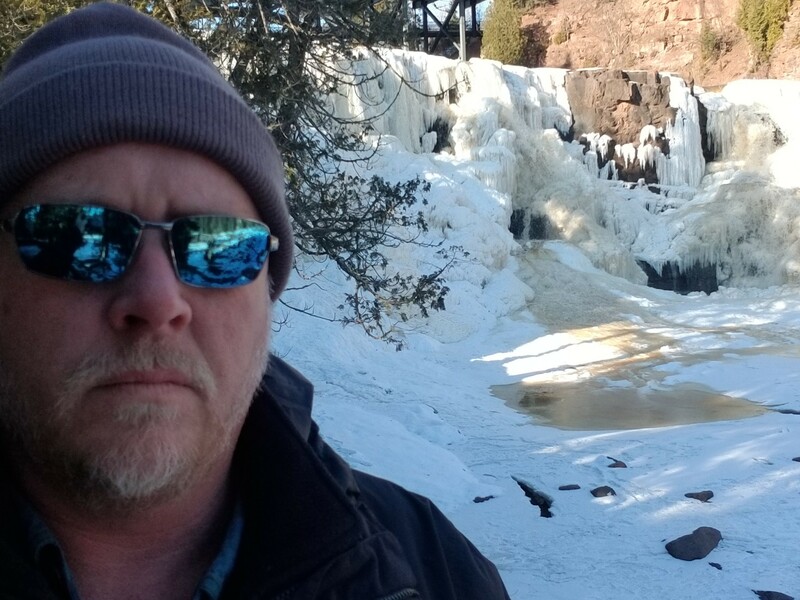 This late season trip is the perfect way to begin the Christmas Season and enjoy an angry Lake Superior as well as frozen waterfalls. Gooseberry Falls is one of Minnesota’s must see landmarks. It is located North of Duluth approximately an hour. This is simply one stop that is worth your time regardless of the season. Flooded and spilling over its banks during Spring thaw and nearly frozen solid in the Winter. One of the best parts of this fabulous attraction is that while it is located inside Gooseberry Falls State Park visitors are not required to purchase a state park pass to visit the Falls. Stop in for a few minutes or spend the day and enjoy the view. Disappointment is one thing you will drive away without after you visit Gooseberry Falls.